AeroCore 2 for Dragonboard | Gumstix, Inc. | Gumstix, Inc.
Connectivity is a top priority for makers and researchers working with drones and quadcopters: Data needs to be sent quickly and efficiently back and forth from a remote device and a home station, like a laptop. Gumsitx’s AeroCore 2 expansion board for the Dragonboard 410C computer-on-module, including support for a Nimbelink LTE modem, is Gumstix’s most technologically advanced platform for launching a next-gen drone. The DragonBoard features a Qualcomm Snapdragon 400 series processes with an ARM Cortex, WiFi/Bluetooth and a Qualcomm Adreno 306 GPU. The AeroCore 2 expansion board extends the features of the Dragonboard COM to include an ARM ST Mirco Cortex-M4 microprocessor with NuttX RTOS and GPS support, a Skeptrum DSM-2 remote connector, SPI header, a barometer, I2C headers and a PWM header. A 15-pin CSI2 camera connector is also included, pending manufacturer software support. 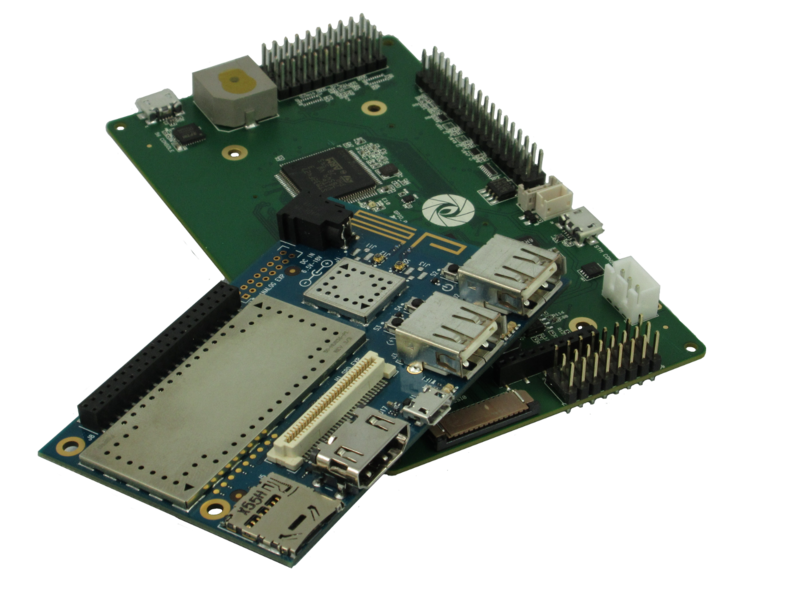 Hackerboards.org has a great piece discussing both the new partnership between Arrow and Gumstix and Gumstix’s new AeroCore 2 expansion board for the Dragonboard, designed in Geppetto by Gumstix engineers. Head on over there to learn more. What do you really get from Geppetto? How to request a module not yet in Geppetto? What does a customer think of Geppetto? How is your Geppetto board “pre-tested”? How do you share a Geppetto design? Stay updated with Gumstix's latest technology!